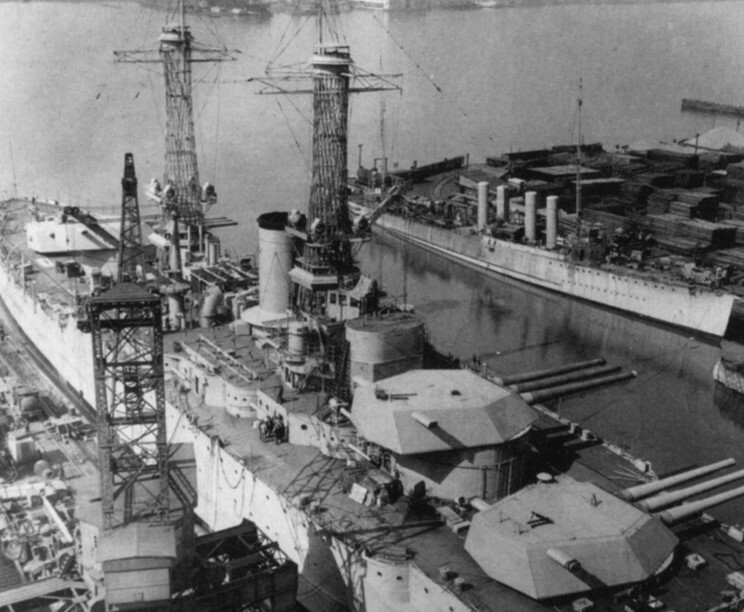 Idaho fitting out at New York Shipbuilding Corp. Camden, New Jersey in late 1918 or early 1919. 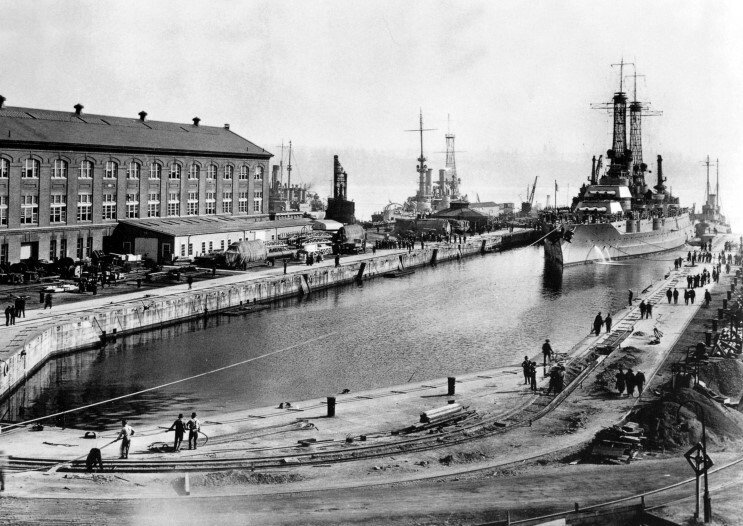 Sept. 23, 1919: USS Idaho entering the drydock at Puget Sound Naval Shipyard, Bremerton, Washington. 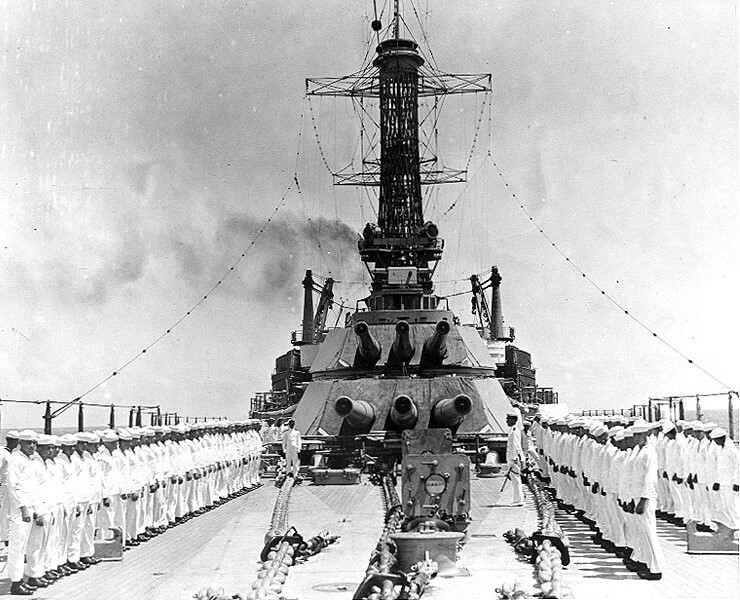 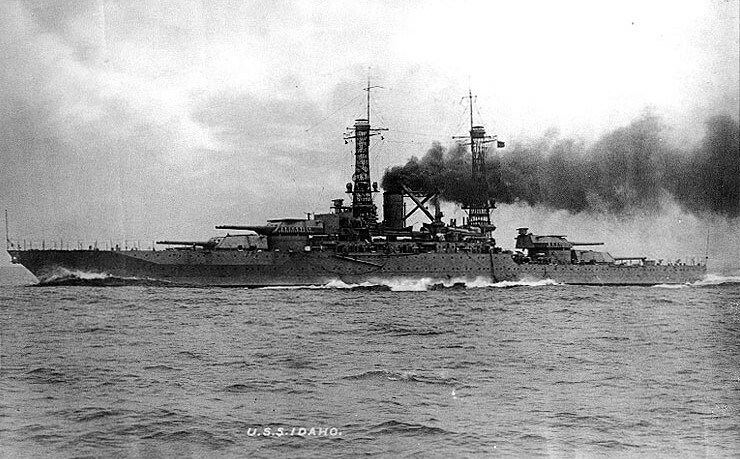 USS Idaho BB-42 seen about 1920. 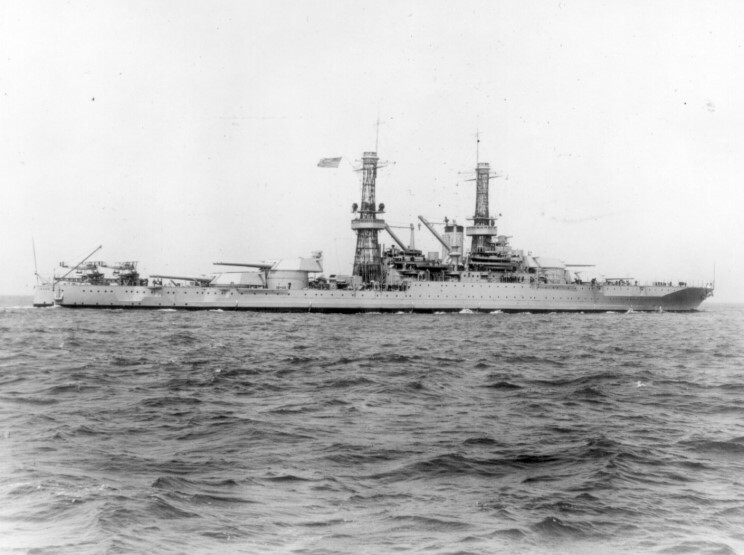 June 4, 1927: USS Idaho BB-42 seen off California.